Happy Sunday! I think the sun got a little too happy today and decide to make life not so fun in the sun! Even though it's only about 90 degrees, there is 60% humidity in Omaha, which is WAY too sticky for me to be outside! I feel for my parents, who are working in the house we will be moving into soon- no AC! YUCK! Anyways, have you heard of LivingSocial? Or Groupon? These are two sites (or phone apps) that let you buy certain items at cheaper prices! They have different things for sale, but they only last a few days. You can buy vouchers for a huge variety of things, from restaurants, to goods, to massages, basically anything you can think of! But the catch is there is a limited number of them. The great thing about these sites are that you can usually get things at least 50% off! So, for example, you could get a voucher for $50 worth of food/drink at a restaurant by only paying $25. So, why am I telling you about this? Because, every once in a while, they have vouchers for stuff for kids, and stuff we could use in our classrooms! You can even tell them that you want to see deals for those things, and when something comes up in your city, you can buy it! Case and point, in April, I saw a livingsocial voucher for a kids National Wildlife Reserve magazine subscription- $10 for a year's subscription! Now, I'll have some great animal magazines to have in my classroom library! I really encourage you to subscribe to the sites- they are worth it! Click here for Groupon! If you purchase via that link, I'll get $10 to use for my next Groupon! My favorite part is getting the updates on my iPhone- they both have free apps, and you can see what the deals are daily in your neck of the woods! Also, Katie from Dirty Hands and Lesson Plans found a Vistaprint deal on Groupon- $17 for $70 worth! Check it out on her blog! 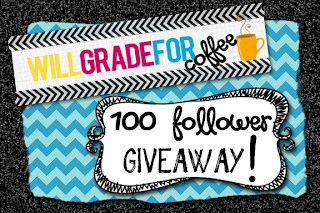 There are SO MANY wonderful giveaways happening right now, and I want to celebrate with my bloggy friends! Congratulations to Katie, Laura, and Dana! I love your blogs, and am excited for your giveaways! Last, but not least, HAVE YOU HEARD?!!?! I'm having my first linky party! It's called Pinning with Friends! Have you seen/played all of the smartphone apps- Words with Friends, Hanging with Friends, etc? Well this is my extension of that! Instead of linking up a blog post, I want you to link up your Pinterest page so that we can all follow each other on Pinteerest and share ideas! So right after you're done reading this post and checking out the giveaways, click on the page up at the top of my blog that says Pinning with Friends! I'd love to follow you on Pinterest! Also, I am just 11 friends (followers) away from the big 50! And you know what that means... GIVEAWAY and... TPT STORE! 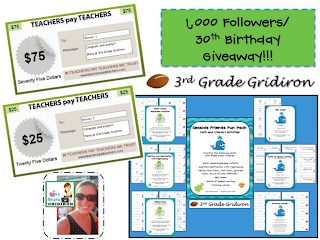 When I reach 50 followers I will be debuting my TPT store and hosting a fun giveaway! So if you are not a follower yet, now is the time to do so!